Scale bar (lower right) is 250 miles. [more satellite imagery]. Friday, April 5, 2019 09:51AM PDT - Normal season ahead? It is that time of the year again that Klotzbach et al., researchers at Colorado State issue their forecast of Atlantic Hurricane activity. 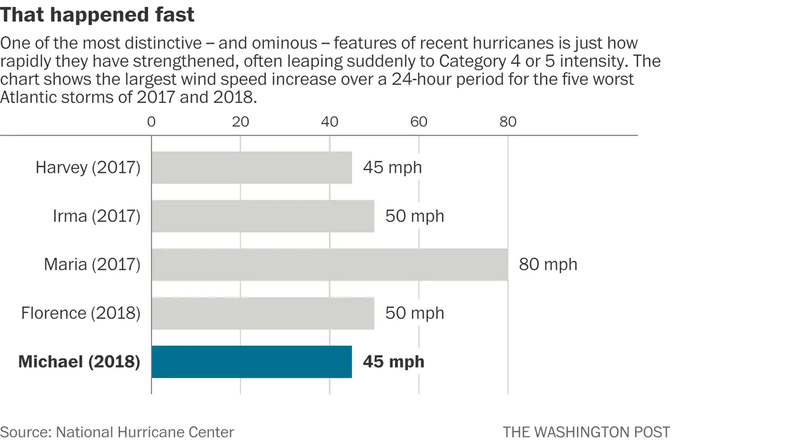 They expect this season to be slightly below normal, with 13 named storms (12.1 is normal), 5 hurricanes (6.4 is normal) of which 2 become major (Category 3 or higher, 2.7 is normal). The probability for at least one major hurricane tracking through the Caribbean (a large area) is 39% (42% is normal). The big question mark is as usually if El Nino conditions occur this Summer, which suppresses hurricane formation and strengthening. Right now we are in an El Nino, and although models are all over the place, most predict that the El Nino will still be there later this year. Good for us! Also, sea surface temperatures in the tropical Atlantic are a bit below normal, which is good as well. They also issued an Excel spreadsheet with landfall probabilities for the Caribbean and Central America region. Below is the top 7 of the chance that at least one tropical storm (TS), hurricane (H) or major hurricane (MH) will track within 50 miles. I sorted the list by hurricane. Only reports received for this season are listed. See the archive for previous years. - Radar Composite - E-Carib. The local hurricane correspondents are the heart and soul of stormCARIB. They are the people who live on the island and write to us what is going on around them. First hand very local personal reports instead of very limited or sensationalized coverage by the general media. Do you live on one of the islands? We need your help! We are looking for more people who are interested in sending us a few paragraphs about the situation on your island before, during and after a storm hits. You don't need to be a weatherman or expert on the subject, just share with us what you know, feel and see on your island. Your help will be really appreciated by Caribbean people living abroad with family living on the islands, future visitors who have their Caribbean dream-vacation booked, etc.etc. Reliable, not-sensationalized information is just so hard to get in crisis situations. Help keep the rest of the world up-to-date with what is really happening! We really need you, Georges back in 1998, and many others since then are proof! If interested, contact gert@gobeach.com. This website is all about the Caribbean. Here you can find information, weather discussions and local reports regarding tropical systems threatening the Caribbean islands. A central part of this website is the volunteer network of special local hurricane correspondents, living on the islands, who will report, when need be, on how it looks and feels like around them. Above also hopefully easy to understand weather discussions by me and Dave. In addition, as an aid in locating family or friends on the islands in an emergency situation you can post your 'plea for help' on the bulletin board. Also featured on this website is the Quick Hurricane Web Resource Navigator, for easy locating to the least overloaded webserver for National Hurricane Center advisories and the latest satellite images. Another part of the Caribbean Hurricane Network is the 'practical guide' to hurricane tracking with unit conversions, definitions, tips, links, etc. You can also find out how close the storm is and how many hours you have left to prepare plus you can map the closest point of approach of a hurricane to your location. New is the climatology of Caribbean hurricanes section. Find out when the real peak of hurricane season is for individual islands, view hurricane tracks passing by the islands over the last 150+ years. An archive with detailed reports of how the Caribbean islands fared during the 2007, 2006, 2005, 2004 (incl. Frances and Ivan), 2003, 2002, 2001, 2000, 1999 (incl. Floyd and Lenny), 1998 (incl. Georges and Mitch), 1997 and 1996 seasons are still available as well. Plus there is more, like storm-centered satellite images, make your own local satellite loop, etc. Hope you find the information on this website (now counting over thousands pages with original content) helpful. Comments always welcome! RSS web feed available. As a side note I am now accepting donations as well. Thanks for visiting!